Compatible with EVABarrier 8 mm OD Tubing (D1717 & D1718). 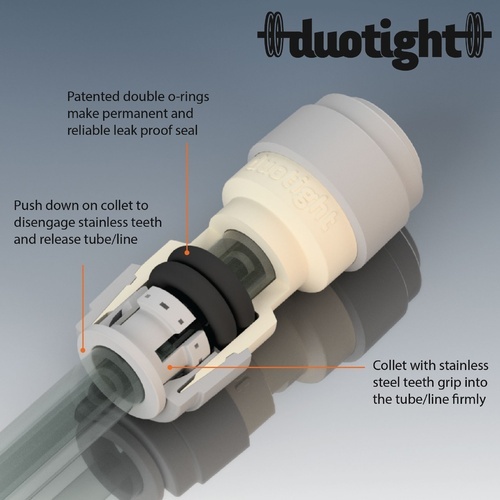 This Duotight fitting with 5/8" FPT is perfect for connecting gas and beverage line to the gas in and bev out on keg couplers. Also works as a tailpiece on faucet shanks.